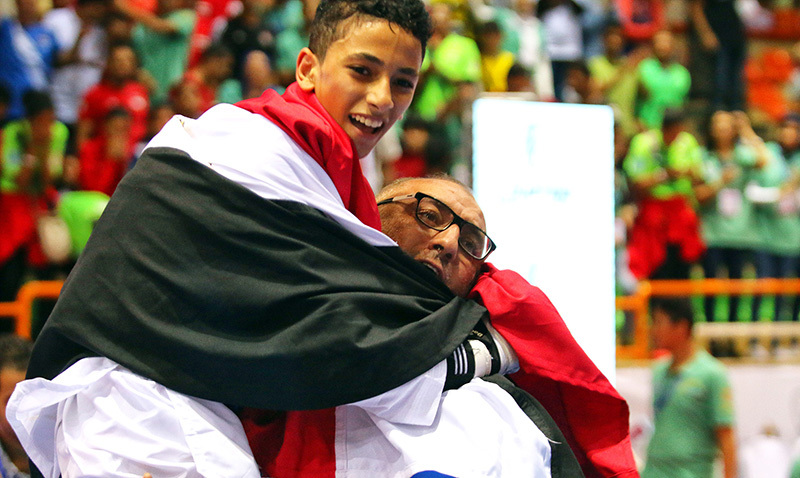 Egypt - 2017/08/25 - Egypt registered their first gold medal of the 2017 World Taekwondo Cadet Championships today as Youssef Mansour won a thrilling final, beating Thai opponent Thawin Yaengkulchow 30-29. Youssef Mansour (EGY) after winning in M-37kg’s final match. Mansour’s performance inspired the crowd, who erupted at the completion of the contest, celebrating the host country’s first win at this year’s event. Russian Khanmagomed Ramazanov and Luis Salazar from Mexico also won their nations’ first gold of the tournament, in the men’s under 53kg and under 33kg categories respectively. In the female events, it was a show of dominance from Iran’s Ghazal Soltani, who beat Isil Zafer from Turkey 22-2 in the final of the under 47kg classification. The points difference was the biggest seen at these championships so far, as Soltani continued her excellent form from earlier rounds to secure Iran’s second gold medal of the tournament, and earmark herself as a potential future star. There was more success for Thailand, who currently lead the medal table with three golds. Chu Jongkolrattanawattana stormed to a 25-10 victory over Iranian Mobina Kalivand in the female under 41kg category and, after double success on the opening day, Thailand will be hoping to continue their fine form through to Sunday. Away from the competition, World Taekwondo is also taking the opportunity to educate players, coaches and parents, which is the first time to hold during World Taekwondo Cadet Championships. An anti-doping tent was set up to encourage the discussion and awareness of supplement use, and the booth organisers also incorporated a quiz with prizes for the winners. Ahead of the championships, World Taekwondo President Chungwon Choue said that Egypt was the “right place at the right time” for hosting this year’s tournament. Part of the World Taekwondo mission is to develop global citizens and this initiative includes holding events all over the world. The excitement of the crowd added to a great atmosphere at the Youth and Sports Olympic Hall and inspired some fantastic performances throughout the day. 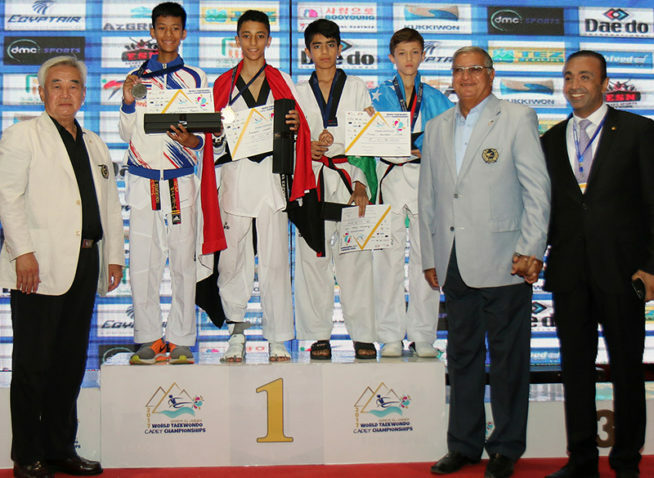 The 2017 World Taekwondo Cadet Championships is held in the city of Sharm El-Sheikh. The event began on August 24 and concludes on August 27.